What is a senior section? A senior section is a 7.43 x 3.25 space every senior gets in the yearbook. It's where you can put photos, artwork, quotes, etc. that capture who you are now. What makes a "good" senior section? Do I have to use photos? No, you can scan a piece of artwork. It just needs to be sized correctly (7.43 wide x 3.25 high) & scanned at 300dpi. What should I avoid putting in my senior section? making it just about you and your boyfriend or girlfriend. Yes you're in love, but will you be in love after May 1st? What can I NOT put in my senior section? If your senior section includes any of these elements, your senior section will be returned for corrections and/or not included in the yearbook. Amazingly, every year someone's senior section is denied for these reasons. Do I have to have a senior section? No. You can choose not to have a senior section. Just please let us know so we don't bug you about it. Go to Pixlr Express (http://apps.pixlr.com/express/) and choose "Collage"
This is IMPORTANT as the finished senior section is 7.43 x 3.25 and if you do not change your proportions now your photos will appear all stretched and squished!! You cannot go back and change the proportions later if you forget, so DO IT NOW! 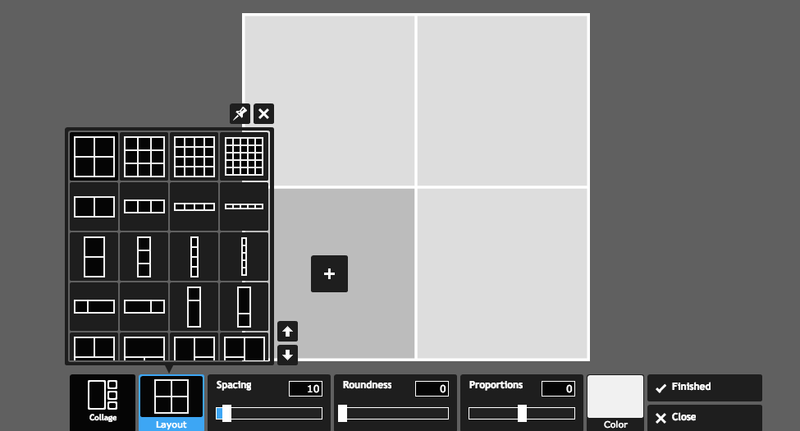 Choose from the possible layouts, then slide the proportions slider to -58.9 to see what the layout now looks like. Example of what happens to your photos if you do not change your proportions! Click on the + sign in each box to upload your photos. It's easier to have a folder on your desktop of your photos to pull from. You can move your photo around in the box and edit the photo by clicking the paint brush icon. Plus sign that you click to add photos. Photo editing page, accessed by clicking the paint brush on the photo. Double-check your photos and proportions and when you're done adding photos, click FINISHED. This will then bring you to a page where you can add effects, text, borders, etc. 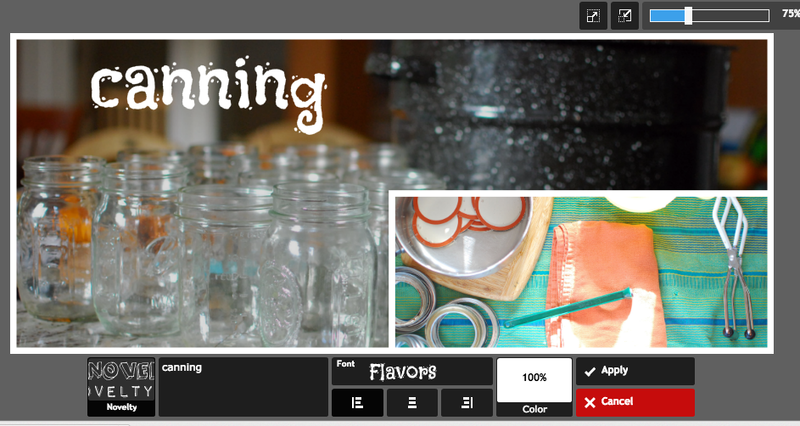 Play around with the menus at the bottom of the screen to add elements to your collage. When you're done click SAVE and email the file to ms. eakin on school email. To create your senior section in Pages, begin by downloading this template file and renaming it with your name. The easiest way to get your photos into Pages is through their Media Inspector. So begin by going to iPhoto and creating an album of photos you think you'd like to include in your senior section. After you create the album open the Pages template file you downloaded. There are two ways to add photos. Open "Media" select "Photos" find your album and drag your photos onto your open template. Resize and move from front to back as needed. If your photos are too large to work with when you drag them onto the screen, first draw a shape and then choose your photos to fill the shape you drew. Add text & borders and anything else you want. When you're finished save your file and email to ms. eakin. This video walks you through the process--it may refer to a different version of Pages, but you should get the basic idea. Interested in using Pixlr, but feel you're ready to go onto the next level. Watch the video below for different ideas of how to much your collage using Pixlr Editor instead of Pixlr Express. If you are familiar with Photoshop you're welcome to use it to create your senior section.